The Association YMCA Siderno for over fifty years involved in training and support of young people , in order to promote the growth of physical , moral and spirituale.It has now 500 members , is a reference point in the territory regarding sports activities at competitive and recreational , social activities . Founded in 1947 by volunteers , soon became a meeting place for hundreds of young people; YMCA for many of them it was possible to have the first basketball shoes (besides goods most essential use , such as food , blankets , clothes etc . ) 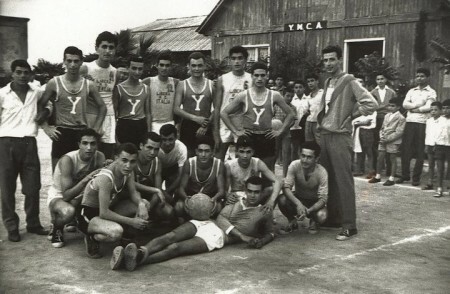 , as well as atYM CA were built the first public locker rooms of the area ; besides being one of the first companies to get basketball affiliation in the Italian Basketball Federation , being able to play the first official meetings in 1956 , later became one of the first organizations ready to host groups of young people from abroad , in exchange allowing those Calabrian to do the same experience ; to become one of the most important and the combination of youth at the local and territorial .